Welcome to our catalog of George G Morgan's current genealogy seminars. All of the topics below are available for presentation at your genealogical society meeting or conference. Click on any topic link and you'll be taken to the abstract description of that presentation. Click on the link labeled Return to Top and you'll be returned to the top of this page. Please be aware that a few of our seminars are longer than one hour, even up to a full day in length. Please read the seminar abstract descriptions and inquire if you have any questions. All of our one-hour and 90-minute genealogy seminars are also available as webinars using GoToMeeting. Visit our Online Genealogy Seminars webpage for more information. Please contact George G. Morgan by email at aha@ahaseminars.com or by phone at (813) 220-6274 to discuss availability and fees. "Tell Me about When You Were a Child"
The information you learn in this seminar will provide you with the important information you require to become a really effective researcher. It is imperative that we use both traditional and online resources in our research and work them in tandem. With the volume of digitized resources growing exponentially each year, our rapid access to original genealogical records online may flood us with more information than we can handle. It is easy to rush through the evidence examination and analysis processes, increasing the probably that we will miss critical details. 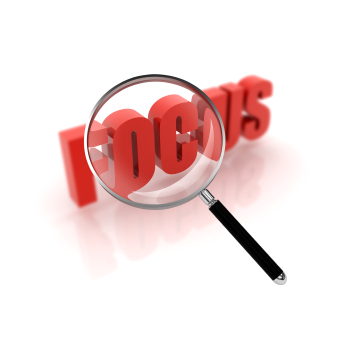 It is critical that we take the time to carefully analyze all the evidence content for clues implied or suggested. This lecture discusses the principles of highly effective genealogical evidence analysis and shows examples of capturing all the clues to expand and improve our research. Funeral home and mortuary records can provide clues to many other sources, especially before death certificates were issued and between censuses. Learn what information may be included, what it infers, and places to locate the records. Examples of records from online sources are presented and discussed. The book contains 200 images of documents, Web sites, and historical photographs to supplement the material presented. The book is being used in university courses, and the instructor has been hailed as one of the most knowledgeable genealogists in the English-speaking world. Come learn from the best! Brick wall research blocks are inevitable. We strive to start with ourselves and work backwards, but sometimes there are impediments that stop us in our tracks. It is then that we must use our most creative research skills, and it is essential that we move to other family members. That means researching our ancestors' siblings, uncles, aunts, cousins, and the collateral lines with which they are connected. Sidestep genealogy means researching these alternative individuals, their records, the places that they lived, and other resources. This lecture will make you stop and think about what alternative research paths you might use, and point you to new resources you may never have considered. Research impasses are inevitable in genealogical research. They do not, however, have to be permanent stoppers. There are a number of methods that can be employed to get past your brick walls. 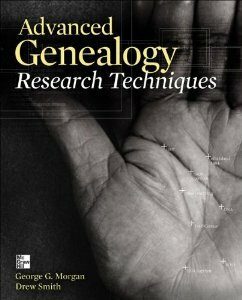 The seminar is based on the best-selling book, Advanced Genealogy Research Techniques, by George G. Morgan and Drew Smith, and shares proven strategies for circumnavigating some of the most stubborn brick walls. U.S. courthouse records have been damaged, destroyed, moved, or stored over the centuries. Prepare yourself in advance for on-site and online research by consulting authoritative sources. Learn why records may not be available in the courthouse, what may have happened to them, and where they (or replacements or substitutes) may exist today. We've come a long, long way in the last several decades in our genealogical research work. We started with writing letters and sending away for individual records, and now we are using the Internet, DNA, and social networking applications to collaborate with other researchers. This session takes the attendees from our beginnings to the future of genealogical research, and it concentrates on the products, services, technology, and initiatives that are advancing our research each day. Learn about new research resources available today and trends into the future with books, records, digitization, DNA, and more. Maps are an essential part of our everyday life. We consult them to plot travel routes as we move from place to place, check them to determine correct postal codes, verify boundaries, and use them in a many other ways. Throughout history, maps have changed again and again. Country and county boundaries moved, towns came under different jurisdictions, and place names changed. As we use maps in our genealogical research, it is essential to understand the geographical history of an area and how boundaries and jurisdictions have changed. These changes are important for determining who created what documents and where these materials can now be found. Many genealogists hit "dead ends" and waste inordinate amounts of time because they either fail to understand the importance of properly using maps in their research or they don't possess the skills. This seminar presents and discusses a simple yet efficient methodology and some resources to help you use maps to quickly and effectively locate the right place to conduct your research. The earliest humans, from earliest times, have migrated from place to place seeking survival and sustenance. Our more recent ancestors also moved around for the same and other purposes. What made your ancestors leave their homes and move hundreds or thousands of miles? What drew them to a specific place to settle? This session examines some of the reasons why it is important to become a student of history, geography, and sociology in order to understand and trace your ancestors’ movements. You'd be surprised how very much information can be gleaned from even the simplest obituary. An obituary, even for a person of modest means, can provide pointers to a multitude of records for your research. It may also be your only link to a missing or elusive ancestor, or to another family member whose records provide an alternative path for locating records about your ancestor. This interactive session offers an overview of obituaries and funeral home advertisements, examines components of several obituaries from different time periods, and discusses how a typical obituary can alert you to the different records and research paths that can be found by "reading between the lines." Obituaries are miniature biographies for the deceased. The writers were compelled to compress as much information into a small amount of text. Your job is to carefully analyze the content of the death notice, obituary, and/or funeral notice and look for clues. This seminar presents a methodology for dissecting an obituary, determining what information is provided or inferred, identifying record types that may be available, where those records are located, and how to access them. Newspapers are the chronicle of a community and its life. They contain a wealth of information about our ancestors, their families, and the things in which they were involved. This seminar discusses and shows many examples including marriage and birth announcements, accidents, death notices and obituaries, news from churches and social organizations, stories about local military personnel, farm and ranch news, weather, shipping news, and more. Important websites for digitized U.S. newspapers are discussed and URLs are presented. Your newspaper research will take off and you'll learn more about your family in no time! One of the most important sources of family genealogical information comes from your relatives. Family stories are often the only accounts of family events, traits and traditions that are available. Most family historians wait until it's too late before interviewing relatives. Often, too, they neglect interviewing distant relatives such as aunts, uncles and cousins for details that may be crucial in the family tapestry. As a result, facts and interesting stories are lost, and access to family Bibles and other important written records is overlooked. Don't delay! Learn how to interview and start the process until it's too late. In the course of our genealogical research, we often become engrossed in the collection of information snippets, failing to put them into a logical perspective. 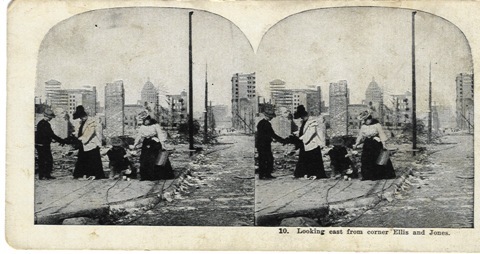 We lose sight of the fact that the people we're tracing participated in the life of their historical times, led complex lives, and interacted with one another. Organizing the information we collect into a biographical profile can help you begin to recognize character traits and decision patterns. And the profile also provides an invaluable, portable research tool that avoids your taking voluminous amounts of notes with you on research trips. Your ancestors lived complex lives, interacting with family members, friends, neighbors, and associates of all types. They participated in their communities, and they were affected by events in their communities and around the world. You want to place your ancestors into geographical, historical, and social context so that you can better understand their lives. This seminar suggests a wide array of resources for locating details about your ancestors and presents a methodology for constructing a chronological timeline of their lives. Modern genealogists are much like the crime scene investigators - CSIs - that we see on television. They must be skilled investi gators. They must use all available tools to locate clues and evidence. And they must employ proven methodologies and their critical thinking skills to document and evaluate every type of resource they find. They must be able to communicate their findings. 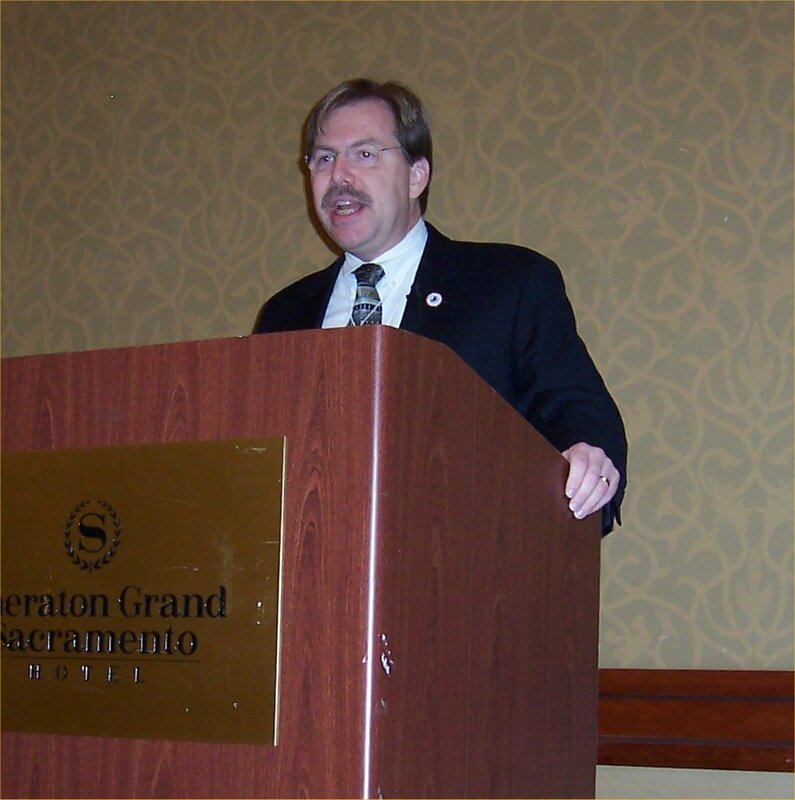 This seminar analogizes genealogists with CSIs and describes the genealogical research and evaluation process. It provides a methodological framework for all types of research. The records most frequently used by genealogists are birth, marriage, and death records, along with census population schedules, obituaries, and tombstones. There are literally thousands of alternative records that can be used to supplement your research and to help place your ancestors in context. This seminar explores a number of record types that most genealogists skip or gloss over, and reexamines less frequently consulted portions of familiar records. These records can provide new clues and insights to open new research doors and help break down brick walls. Regardless of whether you're going to the library or heading out on a genealogical vacation, advance preparation is essential. You have to know who you are researching, what information you hope to find, what resources are available, and where to find them. A well-organized genealogist is the most effective researcher. This seminar discusses numerous resources you can use to prepare for the most effective genealogical research trips you'll ever make. We'll examine books, periodicals, maps, Web pages, Internet mailing lists, city governments, libraries and archives, genealogical and historical societies, family associations, church secretaries, sextons and other resources you should use to gather advance information to help develop your research schedule. Learn to maximize your research time the way professionals do it, and return home with a genealogical treasure trove. 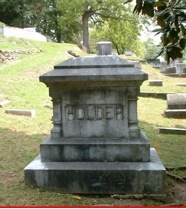 Cemeteries are fascinating places, and family history researchers can learn a great deal when visiting a cemetery. Part of the challenge in the first place is to locate the cemetery where your ancestor or relative is buried. And when you get to the cemetery, there may be more to be learned than just what's carved on the tombstones - the administrator or sexton may have files with lots of information too! Advance preparation is definitely the key to a successful cemetery research trip. That means advance research, determining who and what you want and need to research on-site, making contact with the living people who can help you find the dead ones, as well as taking the right tools with you to record information you find. This seminar presents a methodical approach to preparing for a successful cemetery research trip and detailed suggestions about what tools to take, how to record the information, and what to do with it when you get home. 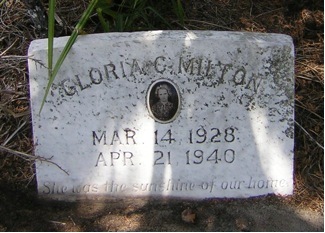 A case study presents the research path and records used to learn about untimely deaths of Gennie and Gloria Milton in April 1940. Learn how scholarly genealogical research methods and common sense were used to reconstruct the family story from 1940 to present. See how the story brought the family’s story back to life. This session incorporates lecture and video to tell. The U.S. Constitution called for a regular enumeration of the population of this new country, beginning in 1790 and continuing every ten years through the most recent census of 2010. For genealogists and family history researchers, census records are an essential and invaluable source for geographically locating their family over time, as well as for pointing to other original, primary records for other information. Unfortunately, though, a very significant number of researchers lack an understanding of the records themselves. They don't know that most of the population schedules they examine are probably transcripts of the original or even second transcriptions. Likewise, few researchers ever look beyond the population schedules to the other schedule documents: Veteran's and Widows Schedules, Slave Schedules (which are useful to both African and non-African ancestored researchers alike), Agricultural Schedules, Manufacturing Schedules, Social Statistics Schedules, and the Schedules of the Defective, Dependent and Delinquent Classes. Federal Enumeration District Maps, too, can provide insights for more quickly locating the schedules on which ancestors are listed. Even the important Soundex and Miracode finding aids are little understood and/or used. This 90-minute seminar is essential for those who wish to improve their understanding of the Federal census records of all types and to hone their skills in working effectively with these important resources. The 1850 through 1880 U.S federal censuses included an Agricultural Schedule. It details your ancestor's farm including crops, livestock, timber, mining, and production of commodities such as honey, butter, and eggs. Most of these documents have survived and have been microfilmed. Ancestry.com has also digitized the microfilm for about a third of the states and territories. Unfortunately, the 1900 through 1950 censuses included a similar Farm Schedule but few of these documents survive. Learn how to locate and access the 1850 to 1880 Agricultural Schedules and how to use them to learn more about your farming ancestor. Land and property records are among the most numerous documentary evidence for genealogists. Deeds, tax lists, liens, and scores of related records can tell you when your ancestor bought and sold land, where the property was located, its sale value, and more. The transfer of property from a deceased person to another may provide the only evidence of the exact date of death. This seminar presents an introduction to land survey records using the state land state survey method and the township and range method. Many land and property documentation types are discussed. Immigration into the United States from Europe was primarily via ship. The federal government required passenger manifests beginning in 1820 for all ships bringing in any persons to a U.S. state or territorial port. These documents were microfilmed by the National Archives and Records Administration (NARA), and these have since been digitized and indexed by Ancestry.com and other providers. Immigration across the Canada-U.S. boundary was also recorded on the St. Alban's lists. This seminar discusses the ships' passenger manifests, beginning in 1820 and expanding in content until the closing of the Ellis Island immigration processing center in 1957. Learn what you can find at the various times and how these manifests can extend your research. The U.S. Congress established the criteria for naturalization of aliens in the Constitution. The process has varied somewhat since 1790 but still entails the filing of a Declaration of Intention renouncing citizenship in a foreign country and, after a residency period in the U.S., the filing of a Petition for Naturalization. The seminar focuses on the U.S. naturalization process over the centuries, what documents were produced, the exceptions that were introduced for spouses, minors, military service, and more. You will also learn where to seek copies of naturalization documents, both in NARA branches and online. MyHeritage.com is a vast and fast-growing commercial website boasting more than 8 billon records. Its databases include collections for every geographical region of the world, and the site supports data and searches in 42 languages. It includes millions of family tree entries, more than 250,000 digitized books, newspapers, maps and gazetteers, and more. Its tecnologival innovations SuperSearch and Record Detective can help you locate more records about the ancestors you search for, presenting additional links to other data. MyHeritage DNA provides another excellent resource for your genetic testing and matching with others around the world. This lecture focuses on what resources are available at MyHeritage.com and how to use the site for extending your ancestor searches! The Internet has forever changed the face of genealogical research. Since its inception in 1990 and the introduction of the graphical Interenet browser in 1993, almost every company on earth has adopted an Internet webpage presence. Genealogical and historical societies, commercial and non-profit genealogical organizations have created websites, and genealogical vendors have moved to make their products and services available on the Internet. This half-day seminar addresses the basics of Internet online sites, including basic websites, message boards, mailing lists, and other basic genealogical resources on the Internet. This half-day seminar picks up where the previous seminar leaves off. 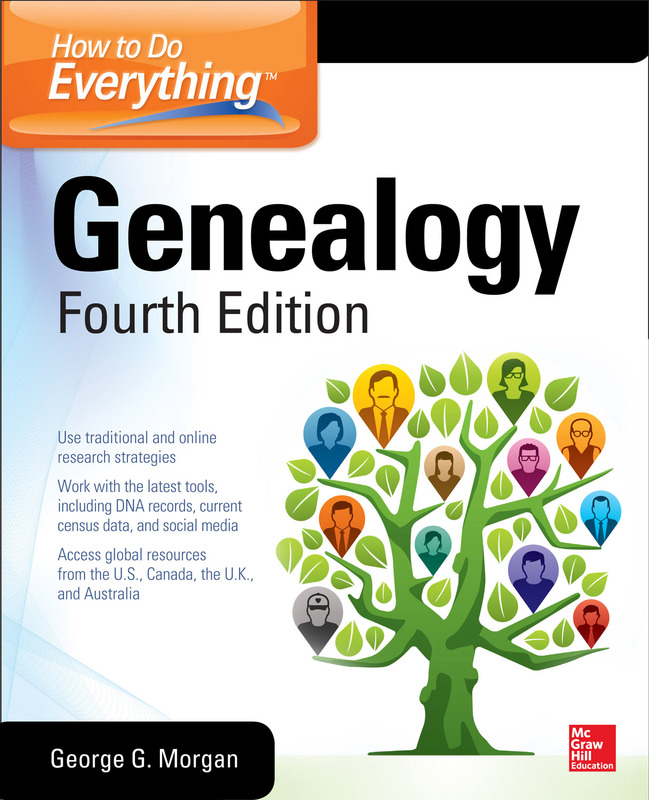 It examines a variety of genealogical and newspaper databases, how to use search engines to locate genealogy data across the Internet, and how to use social media such as Facebook, blogs, and other tools to research your ancestry. Did you know that Google runs more than 150 different search engines in different parts of the world? Most people don't realize that the choice of Google search engine has a profound impact on the search results delivered to you. More than 80% of any Google search engine is local. The use of different geographical search engines can be extremely helpful in locating information about your ancestors and any existing records where they lived. This seminar discusses how to locate Google search engines by location, and illustrates how different the search results can be. It also addresses Google translate and how to use it with websites in languages you may not know. FamilySearch.org adds millions of new images to its website each month. Most are initially not indexed. This session demonstrates how access and search the indexed records, and how to work with the browsable images to locate your ancestors’ records. This session also explains informational resources at the new FamilySearch, and shows you how to get help. Ancestry.com is one of the most prolific subscription genealogical database in the world. It offers more than 30,000 databases consisting of indexes, transcriptions, and digitized images of original source documents. While most of the site's contents are fee-based, there are large collections of free materials. This seminar discusses the contents of Ancestry.com and presents some search strategies to help you locate information more efficiently. Ancestry Library Edition is available by institutional subscription from ProQuest. It is a smaller version of the full Ancestry.com personal subscription collection, but it provides a robust subset of thousands of genealogical resource collections that your genealogy customers can use in their family history research. This session will demonstrate the organization of the Library Edition database product, how to use the Card Catalog search feature to locate databases, and how to perform basic searches and wok with results. It will also demonstrate the use of basic and advanced types of searches, when to use Exact Match searches, and how to use wildcard searches. Search results and source citations will be shown. Ancestry.com’s Message Boards will be introduced and alternate record types will be discussed. No library can have a complete collection of published books, yet libraries collaborate to share materials from their collections with others located far away. This facility is a service called Interlibrary Loan, or ILL. Some items are non-circulating, and this includes most genealogy books and applies to one-of-a-kind documents and manuscripts. However, libraries that support ILL may be willing to photocopy or scan images for you. Learn how to locate genealogical materials in other libraries and how to use ILL to obtain copies for your research. Thousands of genealogy-related books have been digitized, indexed, and made available online at many sites. These include family histories, local histories, military regimental histories, and other reference materials. Universities, archives, online genealogy database sites, are growing each year. Public domain books are available through Google Books. And with the recent announcement in 2013 by FamilySearch.org of the addition of more than 100,000 additional titles to their collection, there has never been a better time to prospect for your families' history. This seminar will show you what types of materials are available, the primary Internet sites where they are located, and how to access these digitized books. London, England, is a wonderful place to conduct genealogical research, both in person and remotely. This seminar focuses on the major records repositories, including The National Archives in Kew, the Society of Genealogists, the London Metropolitan Archives, the British Library, and others. You'll learn about the scope of records that are held in various places so that you can be more effective in planning to find and access them. Civil registration was implemented in England and Wales on 1 July 1837 and required the registration of births, marriages, and deaths. Later additions included divorces, adoptions, and civil partnerships. The quarterly indexes of civil registrations have been digitized and are searchable online at several sites. Using these records, it is possible to trace families back several generations very quickly. The seminar discusses the implementation of civil registration, the content of the entries, how to use the indexes, and how to order certificates online from the General Register Office. Wills and probate records have been handled differently in England and Wales over the centuries. Prior to 1858, wills were probated in ecclesiastical courts. Parliament passed legislation that coverted probate to a civil process beginning in 1858. This seminar discusses how to research wills and related records in both periods and where they can be located. King Henry VIII changed history in many ways. When he broke with Rome and formed the Anglican Church, he dictated to the parishes that they were to maintain registers of christenings, marriages, and burials. These records are the basis of vast research opportunities for genealogists. This seminar focuses on the beginnings of the Anglican Church, the contents of the parish registers, where they are now located, and how to access the contents. Print and Internet reference resources will be shared. This full-day seminar addresses the types of records created in England, Wales, and Scotland over the centuries, and discusses their contents and how to access them. This is an in-depth immersion into these geographic areas, each of which has signigicant differences in their records and availability. Irish records are not discussed. North Carolina has a rich history, and a vast amount of information about it has been made available on the Internet. This session highlights some of the very best online resources available for the North Carolina genealogical researcher. Genealogical and historical societies are struggling to attract and retain members while striving to stay solvent. It is essential to offer tangible benefits year-round. This session discusses best practices that can be put in place to provide affordable benefits to members. We've come a long way as genealogical and historical societies. New technologies such as blogs, print-on-demand publishing, Facebook, Twitter, mobile phone apps, podcasts, webinars, and others have drastically changed what we can do for our societies. This session discusses how the modern society can provide a rich experience for its members and get its message out to the world. Email is a powerful tool that, within your society, can build excitement and encourage member participation. Learn the types of email communications that capture attention. Create a professional presence for your organization. Discover strategies for effectively using and managing email. Uncover ways to publicize who you are and what you offer. Attract and keep members!